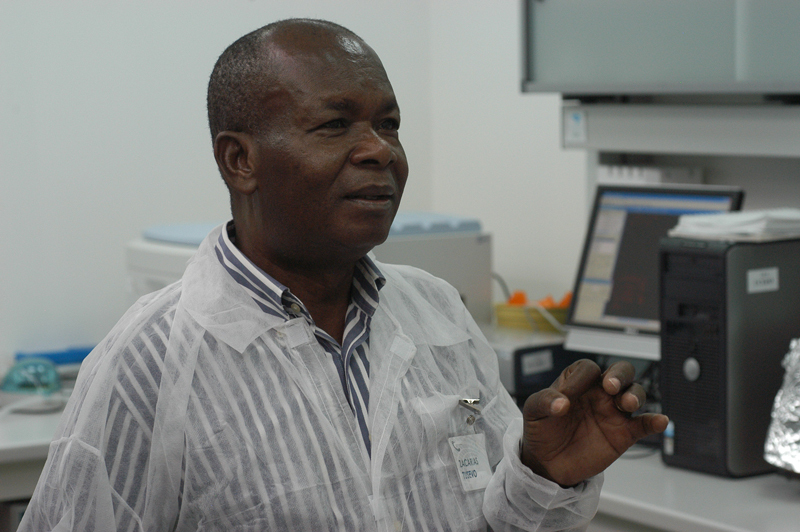 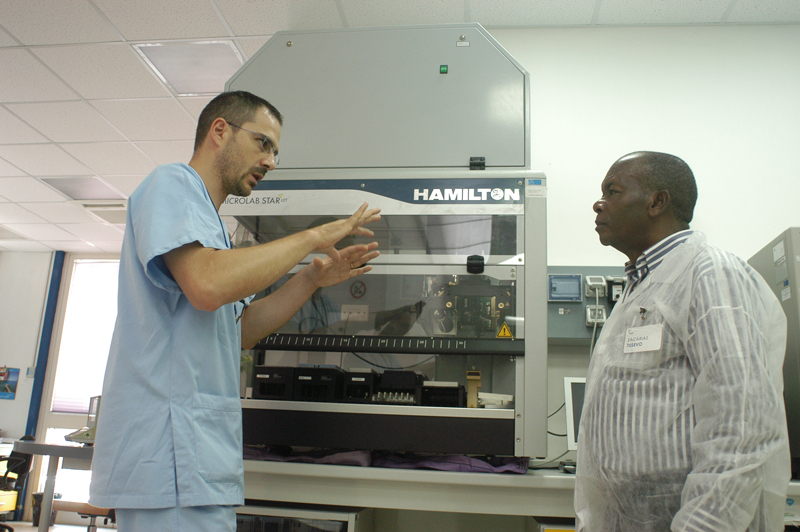 Tusevo L. Zacarias, chief pathologist of the Instituto de Investigação Veterinária de Angola (IIVA) in Luanda, visited the OIE Reference Laboratory for contagious bovine pleuropneumonia (CBPP) at the G. Caporale Institute (ICT) on Thursday 14 and Friday 15 July. 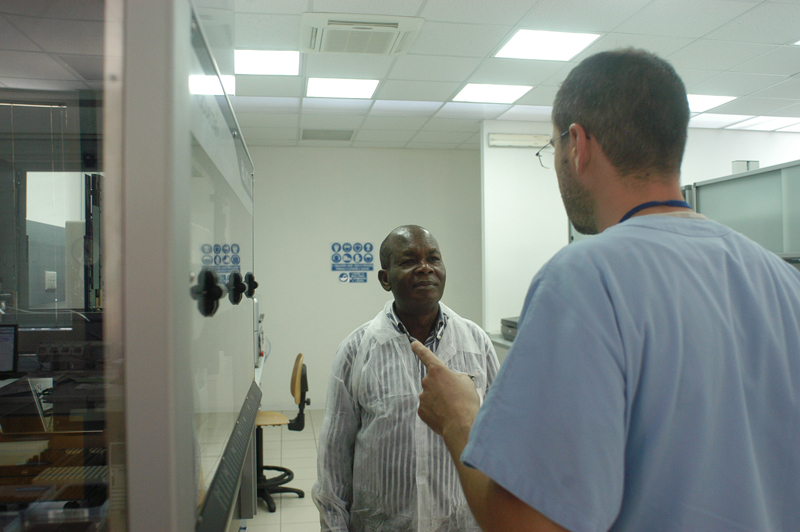 The purpose was to study the research, diagnostic and epidemiological activities conducted by the CBPP Reference Laboratory, in view of the serious health situation associated with this disorder, which is widespread in Angola. 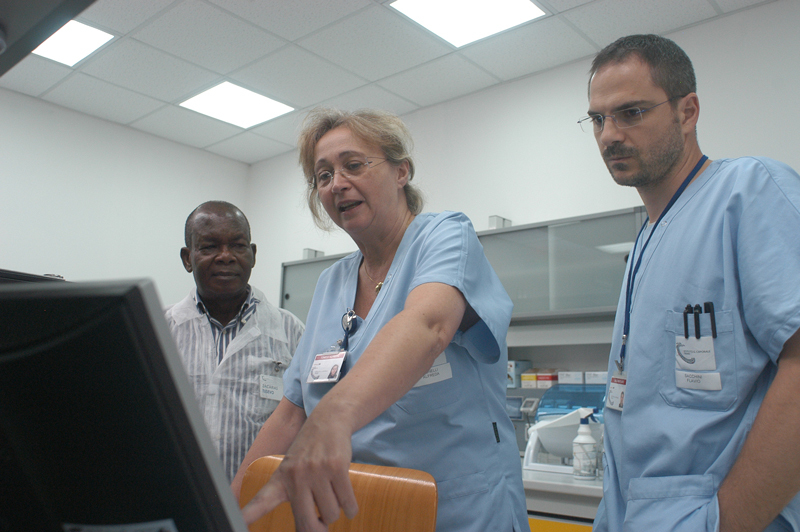 Another objective of the visit by IIVA's chief pathologist was to study the activities conducted by the ICT and agree on terms for scientific collaboration with the Institute. 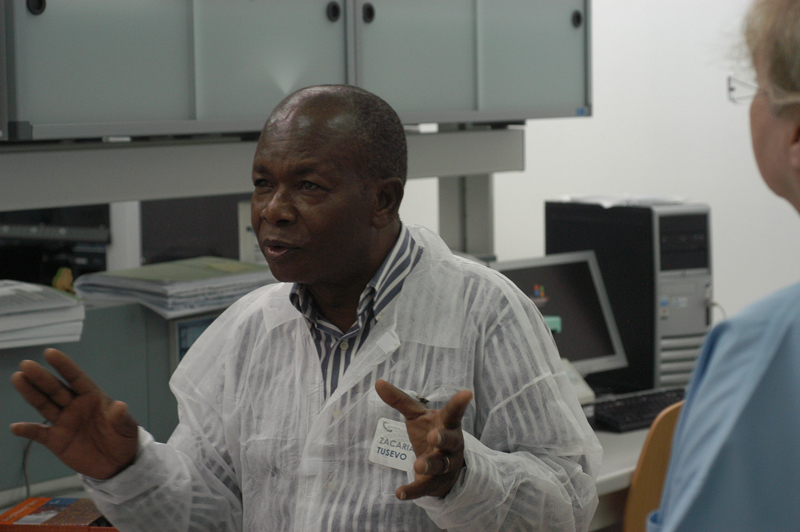 Mr Tusevo took the opportunity to visit the various ICT laboratories and gather information which will enable him, on his return to Luanda, to draw up a scientific collaboration agreement which will be countersigned by the Angolan Ministry of Agriculture and sent to the Italian Health Ministry. 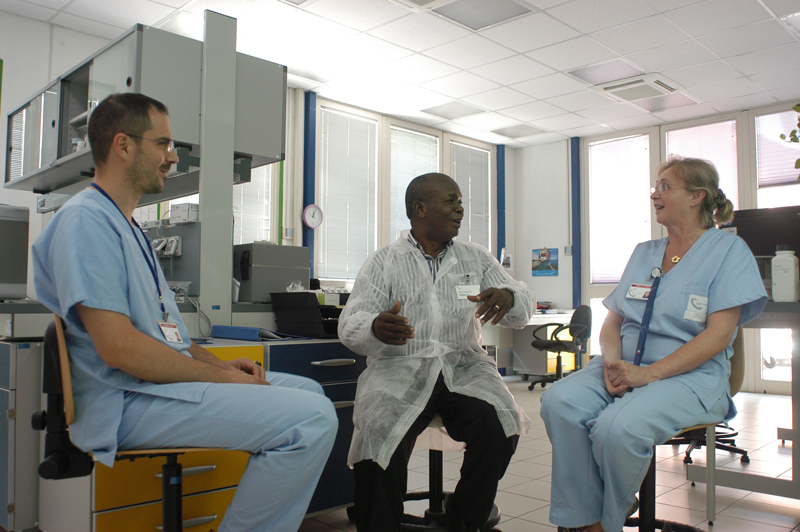 Mr Tusevo's visit was made in the ambit of the strategy adopted by the G. Caporale Institute in South-West Africa, where the Institute is involved in well-established scientific collaboration projects with Namibia, Botswana and Zambia. 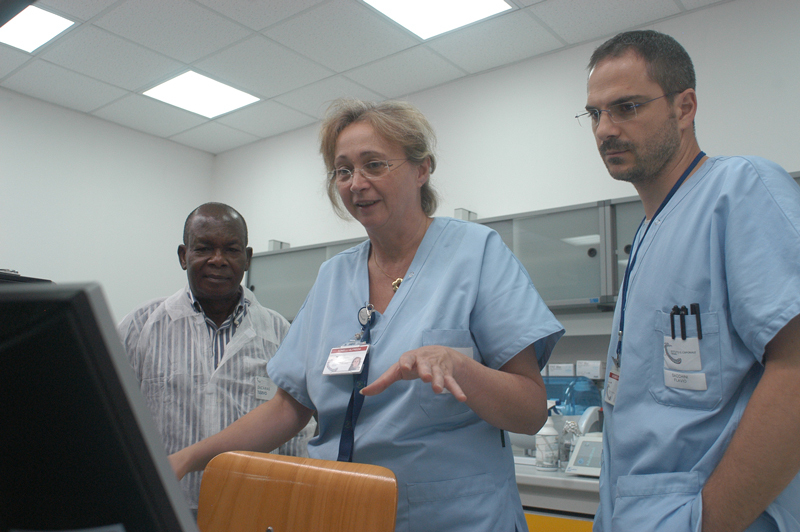 Angola's interest in joining this network demonstrates the valuable work performed by the ICT in that area. Angola's entry also demonstrates that the creation of inter-laboratory collaboration networks in the southern hemisphere is a useful approach, which plays an important part in improving the services supplied by national veterinary laboratories.